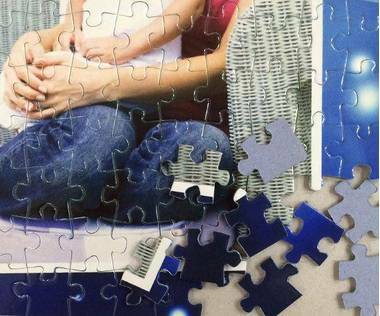 Turn your favourite photos in to a 1000 piece photo collage puzzle! 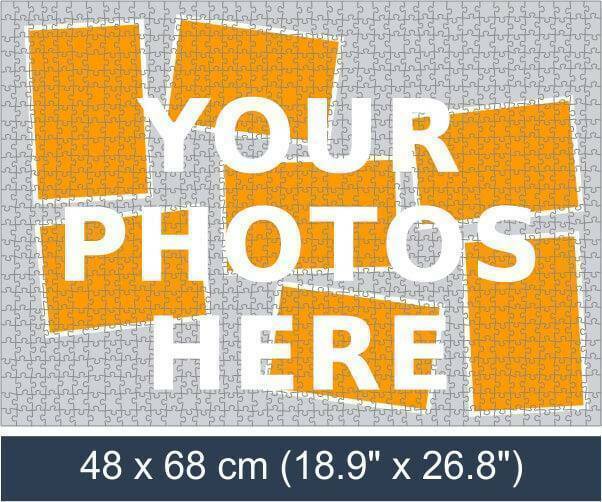 Using our photo online editor you can select a photo collage background and upload photos of your choice to create a beautiful 1000 piece photo collage jigsaw puzzle! Photo collage jigsaws are the best personalised photo gift that you can create, surprise the receiver with something unique! Getting stuck into a decent sized jigsaw is a great pastime for anyone, but when the picture they are making up is a special gift to them, then it will be even more fun. 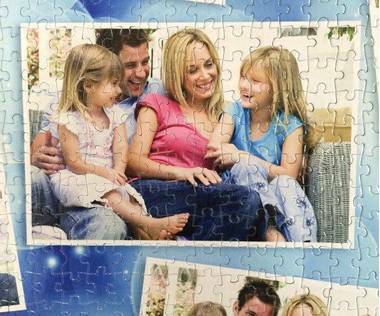 To ensure the enjoyment, they can be bought a 1000 piece photo collage jigsaw puzzle which lets them look at their favourite photographs once it is completed. Due to the nature of this jigsaw, there is no specific occasion that it will be best purchased for as it will be well received at any time. It is easy to order and help is available if there is an issue. 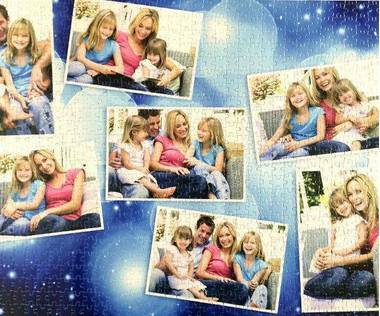 You can choose 7 pictures to put on the 1000 piece photo collage jigsaw and each one will be bright and clear. It will be well cut to make it easy to reassemble and each piece measures just 0.69” x 0.75” x 0.08” and are made of Eska cardboard. 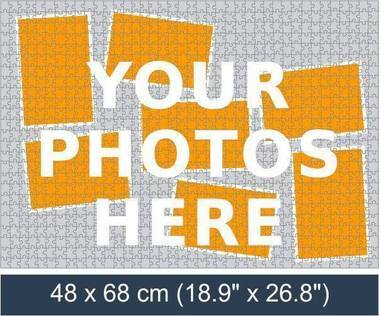 The pictures will appear in the correct position on the jigsaw and it will be ensured that they are the correct resolution before production starts. 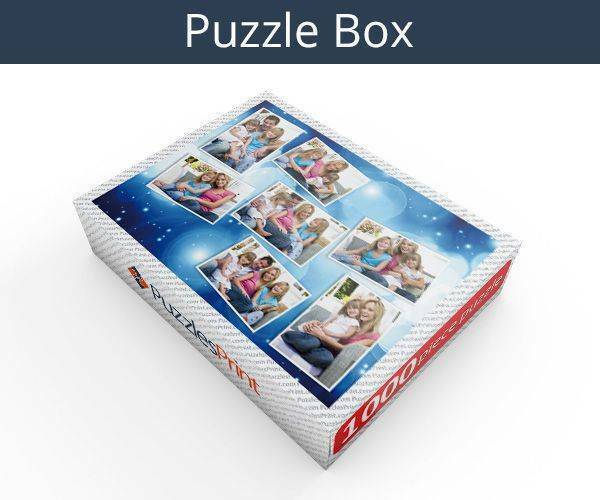 As soon as the box arrives it will be clear what is inside as the same pictures on the puzzle are also printed on the lid of the box. Although it will be possible to make one up for a special event such as all Christmas pictures or all holiday pictures, this is a present that will be well received at any time. The great thing is that it is a versatile gift and can be ordered again and again with different pictures. If more than one 1000 piece photo collage jigsaw is being ordered it will be possible to work out shipping costs and if more than one of the same design is being produced there will be a price reduction applied. Add to this the fact that a message can be added, it is a present that will be a joy to receive. Production only takes a few days, so it is important that the correct photographs are uploaded as it will not be possible to alter them once they are in use. Under normal circumstances - not Christmas – delivery should be around 7 – 9 days. Really good quality So clear print Excellent choice for present Quick delivery Thank you. It was so simple to order and arrived so promptly. I know the person I bought this for will love it. Super quick delivery and high quality product. Very satisfied customer. To be honest I did not realise at the time they were based in Latvia otherwise I probably would have given them a miss with me being in the UK but ultimately very satisfied with the product and the parcel was delivered within a week and was easy to track via UPS, Would recommend to others. Excellent quality and super easy customization and ordering on the website. If your puzzle will be of poor quality they will let you know during your ordering which is brilliant to ensure you get good quality. The pieces are cut well and make sense. Very pleased. The quality of this puzzle was UNBELIEVABLE We were THRILLED. We are big Puzzle People and this was our favorite puzzle to do by far. We will definitely be ordering more in the future. The same comment as the last time I purchased.....the drop off point for the delivery when I'm not home is nowhere near my home. It's a two hour round trip for me. There MUST be somewhere closer to make collection easier. The jigsaw itself is fabulous. Ordered a puzzle and got it within a week. I was absolutely amazed at how fast the puzzle was made and dispatched. Communication was excellent as well. Will use again. Very happy. The price was little high. Awesome puzzle Perfect present for an 80 year old puzzle lover and such a lovely personal touch. The designs were perfect. Only wish I could have included couple more photos. Gave them as gifts to family. Much appreciated by all. Only regret is the cost ...otherwise I would buy more. Product arrived as planned. 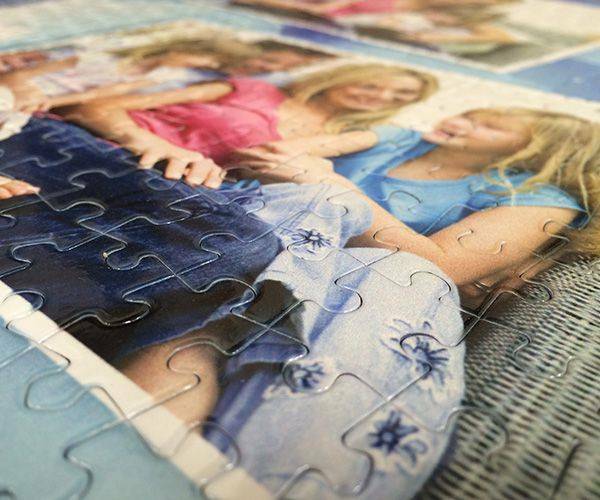 Puzzle pieces and print is high quality. Would definitely purchase form them again. I'm convertedI bought one for my mum & have been pleasantly surprised at the superior quality. The weight of the individual pieces and the shiny finish makes it a very nice product to work with...next order on it's way soon.